Do you drive a Nissan in the Los Angeles region and need tire service? 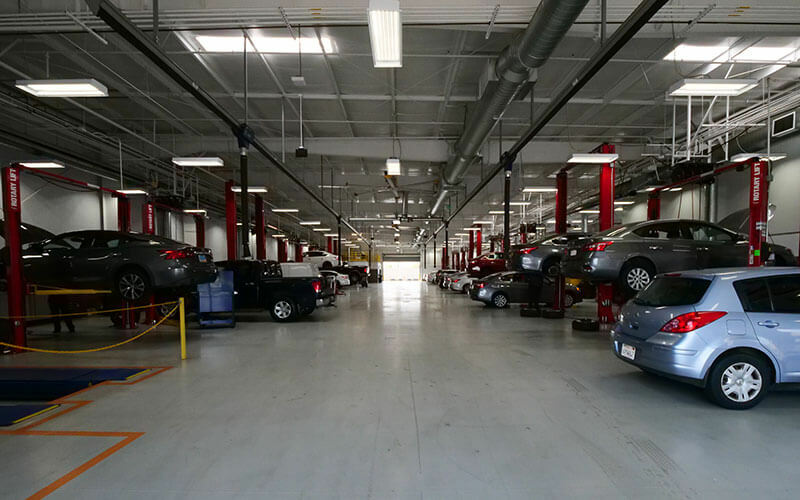 The Nissan Tire Center at Downy Nissan in Los Angeles offers comprehensive tire services from inspection, installation, to balancing and rotation. 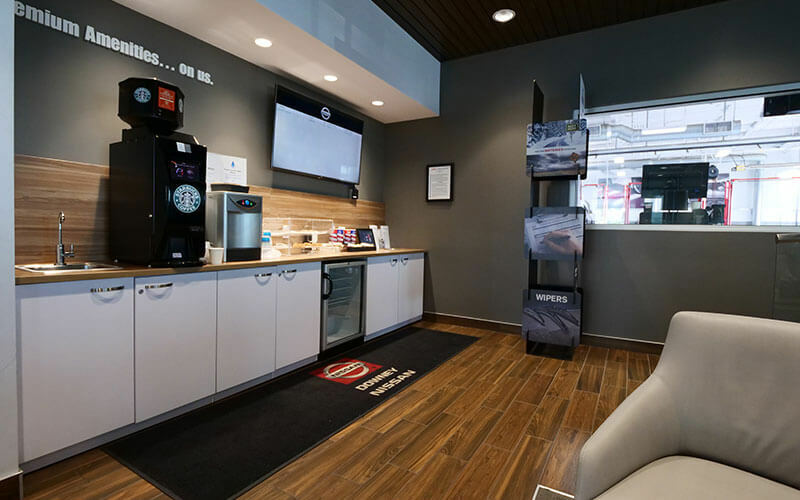 When you visit Downy Nissan for tire service, you’ll receive a free estimate with an assessment of how long the service will take to finish. 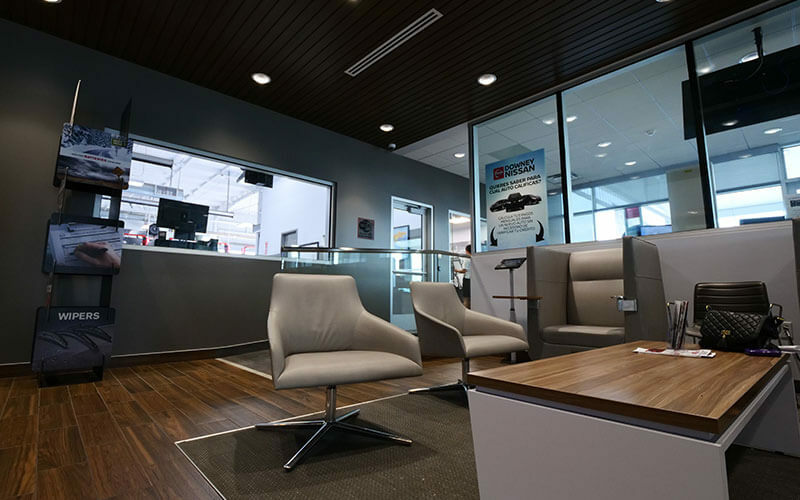 Our Nissan Tire Center is staffed with expert Nissan certified professionals that are friendly and work fast. After all, our job is not done until you are totally satisfied. The tire options in the market today can be overwhelming. But we know at Downy Nissan that your Nissan car, truck, crossover, or SUV has specific tires that have been tested for optimal performance on your vehicle. Only genuine Nissan approved tires are recommended because they have been approved through a rigorous testing process so performance can be guaranteed. Non-genuine knockoff tires are a risky investment and safety concern because very little is known about how they will perform on your vehicle. Don’t risk having any average Joe service your high-class Nissan vehicle. 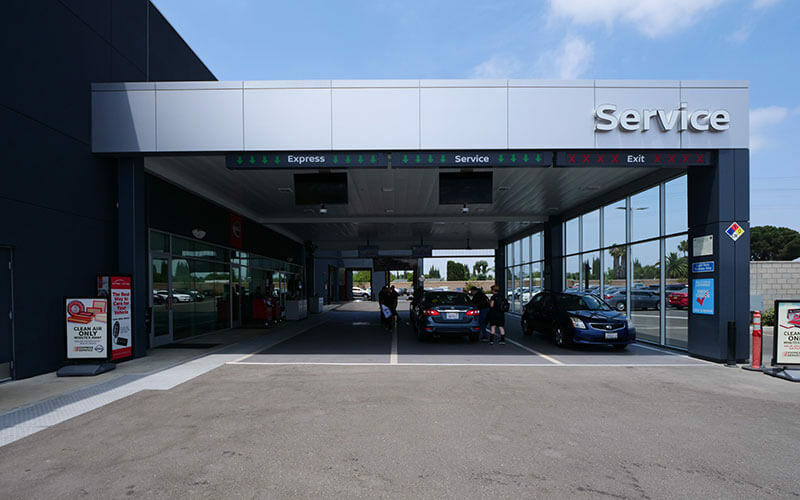 The best way to extend your vehicle’s life and the only way guarantee service quality is to have your Nissan car, truck, crossover, or SUV serviced at a reputable service center by Nissan certified technicians. 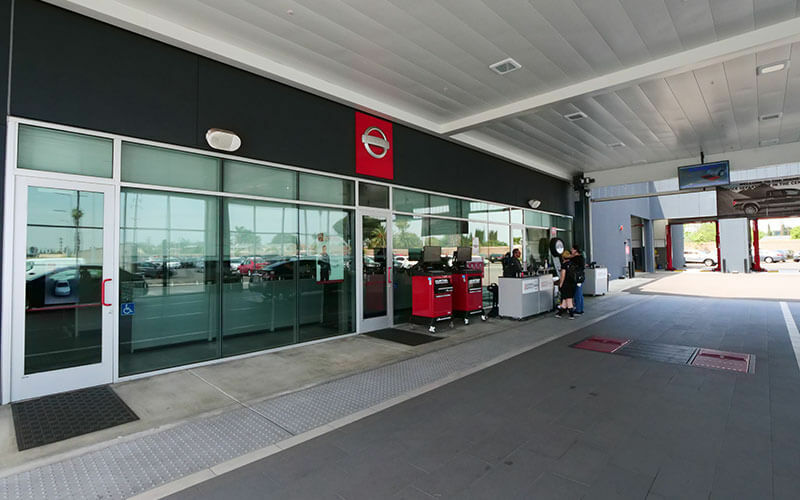 To get the area’s best tire services and more for your Nissan vehicle, schedule a visit at Downy Nissan today. 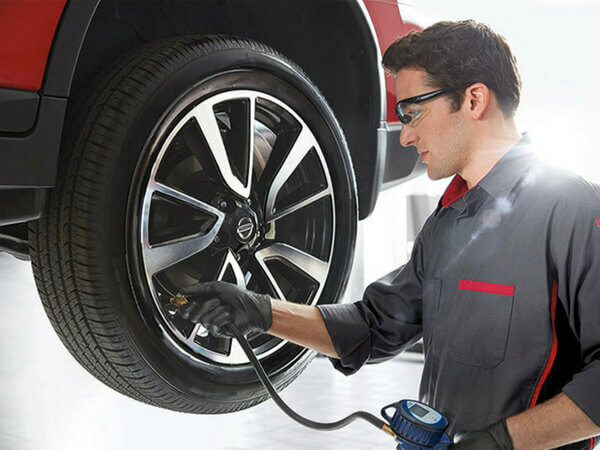 We have a team of Nissan certified technicians ready to inspect, replace, rotate, and install your tires as needed. Don’t risk passenger safety doing tire service yourself. 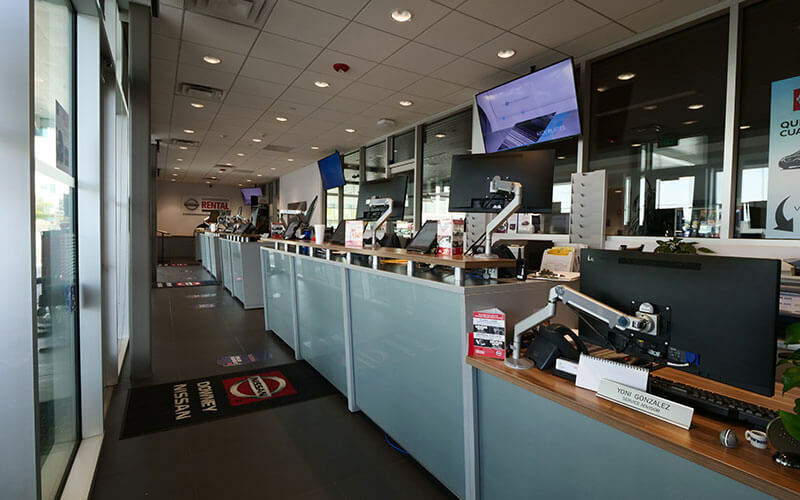 The best way to make sure you have good tires that provide adequate safety is to bring your Nissan to Downy Nissan Tire Center for tire service with a Nissan certified technician.